Thanks to Peter Jones for sending us this recording of our Lambeth Live radio show in July. Dusty Hedgehog (Augie Fairchild on flute/whistle, Alex Davis on fiddle/concertina, and Stu James on Bouzouki) were joined by dancers Marina Madden and Chloe Hellerman for a one hour live radio show on WTJU. If you’d like to listen to the show in its entirety, just click on the top link, otherwise, if you’re interested in listening to / learning particular tunes, just click on the appropriate part of the set list. Thanks for listening!! This wonderful short (30 min) documentary on the bouzouki in Irish traditional music is beautifully done. Enjoy! Nice interview with Daoiri Farrell with a quick intro to Irish Bouzouki for all those folks who ask me, “what is that?”. If you listen long enough (around 9:15) he sings Pat Rainey, a lovely song written by his friend Fergus Russell. And, in case you haven’t heard it before, his version of Craggan White Hare. Great stuff! Enjoy! And don’t forget our local Charlottesville sessions on Tuesday nights at the Tin Whistle Pub (led by Augie and Alex) and on 1st Thursdays (usually) at C’ville Coffee (led by Wally, Julie, and John). If you come, ask to be put on the email list to receive a list of tunes played that evening. One of my favorite discoveries from my first visit to Ennis Trad Fest was this band. Love their tunes and sets. Here’s a nice 30 minute video from a recent show in Belfast. If you play Irish fiddle, it is likely that one of your influences is Liz Carroll. Liz is one of the reasons my daughter and I are playing Irish music as she and John Doyle were one of the first Irish music performances we saw (back in the days of the old Prism in Charlottesville). The energy and enthusiasm she brings to the stage is staggering. And more and more, the tunes she has written are making it into session repertoire. Finally, she is a total hoot. She was also my first fiddle teacher at Swannanoa – truly a fabulous teacher and person and always had made time for the younger musicians. Anyway, it always comes back to the people in the Irish music community, and Liz is and has always been a gracious, kind, and incredibly talented force in the Irish Trad scene. Here’s a wonderful interview with her from the Chicago Tribune. So, keeping with the theme of syncopated reels, our tune for next week is Spootiskerry and the syncopation is right out of the gates, so it is easy to be ready for it. Also, no class on April 4th, so our last class will be on April 11th and Alex will be covering that one as I’ll be out of town yet again. However!!!! We will have a all-encompassing, practice for the recital, last blast of tunes on April 18th… so if you’ve missed a class or two, here’s your chance to catch up!! Bonus for this week!!! In case you missed the BRIMS show last weekend, here’s your chance to see your teachers playing a tune together – a special tune for me as my daughter, Katherine, wrote it and played it for me when I visited in California. She calls it Harbinger of Spring. Hope you enjoy! It was great to have our fiddles back in force, though we missed our fearless fiddle leader. The tunes and transitions all sounded really good and I’m especially glad that Art has come around on the slip jigs (pretty quickly too!). Next week’s tune will be the Wedding Reel (aka Macleod’s Farewell reel). Below you’ll find a slow version of me playing it for learning as well as Lunasa’s version (the group that made it famous). Great tune and thanks to Holly for suggesting it! And here’s Lunasa playing it a few years back. 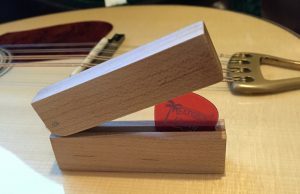 More slip jigs – this is a great connector tune and fairly easy to learn once you get over the F#min aspect of it (fingers may find this to be a weird pattern at first). Greetings from rainy Oregon. Yes, I’m still alive and very thankful for Alex covering yet another week solo. When Lori asked about teaching again this Spring, I looked at my schedule and probably would have said that it didn’t make sense, but Alex was up for co-teaching, so have been leaning heavily on him this term. Also, I just couldn’t pass up the opportunity to work with you all again – such a fun and motivated group. Could not ask for a better set of students. Well, thanks to Holly for forwarding this recording of Alex for posterity. It seems like giving an extra week for practice and catching up was a good call. You all sounded very good tonight. Keep working on those transitions, and when you’re practicing on your own, mix in other jigs and hornpipes, not just ones from class. The more the merrier! Think about what makes certain tunes go better together and what makes for difficult (or easy) transitions. It takes awhile to get good at it. Just a matter of time and practice. Alex Caton (from a fiddle class, back when I was trying to transition to Irish fiddle from old time). It’s nice to hear the variation from the version I learned in Ireland. Both work, but some subtle differences. Also, fiddle players – Alex is a FANTASTIC teacher. If you’re interested in some private lessons, I would higher recommend her. She lives up in Gordonsville. Yay for Laura for starting her first tune!!! A little pre-class reading if you happen to stop by today. Thanks to Holly for the link! You all brought a huge smile to my face this week – fantastic job on a really tough tune. Plus, Kayla’s back and we have another newcomer, Laura! Such a fun group! Thank you all for participating. Truly a joy. So, on to Hornpipes. Alex will be teaching Flaherty’s – a really sweet little tune. I’m looking forward to learning it along with you. This week’s bonus track are a couple of hornpipes from Colm Gannon, Jesse Smith, and John Blake. Saw them our final night in Ennis and they played a ton of hornpipes. At most shows you’re likely to get one hornpipe set, but these three must love them, because I’m sure they played at least 6 sets and some absolutely fabulous ones with great swing. Hope you enjoy! Just popping up next week’s tune before hitting the road – it’s a great tune with lots of variation in modes / keys going on behind the scenes, which makes it more interesting that most. Great to see everyone again and so glad Art can join in the fun as well. Hopefully, Kayla will brave the mountain and come as well. In the meantime, here are the two tunes for the week. The Dirty Tettle Slide (some places Dirty Trettles) is what we learned in class and Christy Barry’s #1 will be what we cover next week. I learned Dirty Trettle from Theresa O’Grady in banjo class when I was in Ennis in November. Slides are great fun and it’s always worth having a couple up your Sliabh to play for dances. Alex sent me a link for the notation, but it is a little different from what Theresa provided, so I’ll try to put together the notation myself this week and bring to class for those who like to have the notation for reference (the version on thesession.org is somewhat different from what Theresa taught as well). I know, I’m always causing problems, but as I often mention, tunes are somewhat malleable, so we’ll be flexible in our insistence on the particulars. And here’s a nice little youtube version of it with a couple of other slides. Next week we’ll start in on the Christy Barry’s set of jigs which I’ve wanted to teach for many years. It’s a bit of an homage to my first trip to Ireland with Katherine as we learned them from Christy in Lisdoonvarna and we’ve always enjoyed playing them together with Katherine (with me backing). But it is long past time for me to learn the tune, and so, I will inflict it upon you as well 🙂 They are both really sweet G jigs that would be great to add to the Charlottesville session scene. I attempted to play the two variations in the B part that I’ve heard. One where the E note is played at the beginning of the run (which is how Christy plays it I believe) and one where it just repeats the G note instead. Also here’s Sonny Brogan’s Mazurka that we played in class. If you’re in a session with John Pluta (accordion), ask him to play/lead it. Mazurkas originated in Poland, but apparently came to Ireland in the 1840s and were primarily played in Donegal. Another piece of trivia – Chopin composed 59 Mazurkas and, it seems that at least part of his motivation was creating a sense of Polish nationalism in opposition to the Russian Tsar. This week’s bonus track – Theresa O’Grady (and Dáithí Gormley) playing a couple of hornpipes – first one is Cronin’s Hornpipe – which I’ve always loved. Welcome to the BRIMS Spring 2017 Session class webpage that Alex Davis and I will be teaching this Spring. Each week we’ll post a synopsis of what we cover in class, provide some resources for the tunes we’re learning, and other miscellaneous musings to amuse you. So, if you miss a week, this webpage will be a good place to start so you don’t miss too much. Our first class is Tuesday, January 17th at 6pm at the Waldorf School in Charlottesville. We’ll start working on our first tune on Tuesday, so be ready to jump right in. Bring your instrument and anything you might find helpful in a music class (tuner, phone/recorder, something to take notes, etc.). We’d also like to you bring a tune list if you have one. If you don’t have one, now is a good time to start! Everyone has a different idea of what a tune list should be. At a minimum, it should be the names of tunes you know or are learning. Some people also have some notation to help them remember how a tune goes. I also note the rhythm (reel, jig, hornpipe, etc.) and the key and I store mine in Excel for easy sorting (by name, rhythm, key, etc.). In addition, I have mine broken down in 3 columns – tunes I know, tunes I want to learn, and tunes I used to know, but have forgotten. I’m also thinking about adding a fourth column – tunes I can lead (in other words, tunes I play well). It’s really easy to get a tune list together when you’re first starting, and 10 years later, it is a really helpful practice tune to keep your repertoire up to date. Below are some videos of tunes that we’re considering teaching. Listen to them over the next week. See which ones you find yourself humming later. Note which ones you’d like to learn. Maybe look up other versions on youtube. We are so lucky to be learning tunes at this point in our history. So many more resources – almost overwhelming! Nice little article that discusses some of the advantages of learning to play an instrument as an adult. One thing is sure, we certainly have so many more resources available to us than we did when I was growing up thanks to the Internet. It is good to also mention, that whether you are young or old, learning an instrument does take time, passion, and perseverance. But, at least in my opinion, it is well worth it! During this past year especially, I’ve found myself gravitating to sessions and playing more music with friends. I think one reason is that somewhere deep down, my body and soul know it is good for me, that it provides a better model for life than most of the other ones we’re presented with on a daily basis. Let me propose that for a small group of us, the session may represent an antidote for the challenges of modern life. I think there are other antidotes out there, and my hope is that each of you will find the antidote that works for you. However, since this blog is about Irish music, let me put forward a few of the reasons that I think the the best sessions have many elements that our souls crave. Some great footage from the 80s scene in London in this mini-documentary. Gotta love the hair too! Also a short interview with Brendan Mulkere in part 2, who I recall seeing at last year’s Ennis Trad Fest when Claire Egan had her CD release show. And here are some clips from 2013-2014 sessions. Maybe the more things change, the more they stay the same. Well, except for the hair.